WYVENHOE Ref: Kathleeen – The Biography of a Sailing Barge. Richard Walsh Pub Terence Dalton, Lavenham, Suffolk 1986 “Built in 1898 by Forrestt at Wyvenhoe for Augustus George Hughes of Providence Wharf, East Greenwich. Note, Augustus George Hughes in 1898 would have been 47 years. Hughes Frederick Augustus 5 Brockley Villas, Brockley Road. December 19th 1906 Letter re.amounts of Insurance. Site plan (sketch) includes ‘Launching Way’. April 12th 1905 From Humpheries, Skitt and Humphery ‘Referring to …… your client …A.G.Hughes’. April 15th 1905 From A.G.Hughes – ‘Ref …. negotiations with Mr. Coles Child in which agreed to premises and he agreed to sell his interests’. November 1st 1905 Copy of agreement – Trustees of Morden College and Mr. A.G.Hughes. Agreement to sell interests etc. prior to Tilbury Contracting and Dredging taking over. 1851 Census F.A.Hughes, born 1811 (40) 20 Florence Road, Lighterman. SOUVENIR PROGRAMME 1977 T.S.B. and S. Match, Competing Barges. List includes Orinoco. Built East Greenwich 1895 by Hughes for Masons cement fleet Waldingfield on Deben – eventually bought by Cranfield Bros. Sunk in collision on Thames (1950?) Raised and brought late 1960s (L.Testar) and re-rigged near Faversham. 1887. First Entry in Kellys – F.A.Hughes and Co. Providence Wharf, River Bank, East Greenwich. other adjacent wharves – Mowlems, Thos.Wright & Co., (Coal Merchants), F.A.Hughes, Dawsons…..
1907 New Entry – Tilbury Contracting and Dredging Co. (1906) Ltd.
ref: Down at Providence wharf – small lightering business – carried on by a Freeman, Edmund Hughes. E.H. saw his chance – 1884 came into existence Tilbury Lighterage Co, Ltd. Edmund Hughes became first Managing Director – to the far larger Dreadnought Wharf. BULLI- Collier shop Bulli was built on the Greenwich Peninsula by Stockwell and Lewis and used in Tasmania – where there are some very familiar place names, so don’t get confused. Here are some cuttings about her wreck from the Tasmanian press – lots more to come. The Steamer Bull has been wrecked in Murrays Passage, Kent Group, but all hands have been saved. The Bulli used frequently to visit this port with coals. from Bulli for the B. and T. C.’s Iron Co’s works Lempriere. She last arrived here on the 4th June and left on the 6th and was probably on her passage here this time when she was lost. With reference to the SS Bulli, which was wrecked at Kent’s Group on the 28th ult., Rear Admiral Barnard; yesterday received a report from the Acting Superintendent at Kent’s Group lighthouse. The report, which has been kindly placed at our disposal -states-that the Bulli went through Murray’s Pass at noon on the 28th, but in consequence of a heavy gale she ran back and anchored at Erith Island at 4: p.m. She got under weigh again at 8 p.m. and proceeded on her voyage to Port Lempriere. When about two miles off N.W.Islet she struck on a sunken rock. She then bore up again for Erith, and anchored but she soon sank, and the crew had difficulty in escaping. They all however got safely to shore in a splendid lifeboat which•the ship carried. The Captain and three men then proceeded to Deal Island, where the lighthouse is situated and returned with the Superintendent to Erith, conveying the remainder of the Bulli’s crew, 23, to Deal Island, whence they were taken to Melbourne by the S.S. Tararua. The foreyard of the Bulli is just awash at low water. The Steamer Bulli, it appears, is not to be left to her fate and rust away under the waters of Murray Pass without an effort being made to raise her. The figure for which she is covered by Insurance is too material to be paid over lightly, and an attempt is to be made on behalf of the underwriters to lift her from her present position. Capt. George Frederick, who is not without experience in raising sunken vessels, has been entrusted with the work of recovering the Bulli, and his plan of operation has been approved of. The necessary gear; including a boiler and powerful centrifugal pumps, is being collected and shipped, and the vessell containing these will leave for the scene-of the wreck about the middle or end, of the present week. Mr. D.Munro, provides the pumps and machinery and, along with Capt. Frederick, he is sanguine of the attempt proving successful. WITH reference to the s.s.Bulli the same journal reports that the Board held an investigation into the circumstances connected with sinking her. She was on a voyage coal Laden bound for Launceston and had put into West Cove, Kent’s Group, for shelter during heavy southerly weather on the afternoon of Thursday 28th .June. At 8 p.m. same day when the weather was clear with a fine moonlight the master got under weigh in the prosecution of his voyage but after proceeding some distance was compelled to return and whilst doing so rounded the sunken rocks off the N.E. island of the Kent’s Group so closely as to strike on them. The vessel was got back into West Cove and an attempt was made to throw the cargo overboard, as she was making water, but by the time a few tons were got out, the leak , which, has hitherto been confined to the fore compartment, broke into the main and vessel soon after went down. The board decided that Rendell, the master, committed two grave errors in judgement – 1st in rounding the rocks of the N.E. inlet too closely and 2nd in not beaching his vessel after arriving in West Cover in place of attempting to throw the cargo overboard. taking all the circumstances of the case into consideration the Board was of opinion that a caution to use more judgement in future would meet the merits of the case. BULLI . On 28 June, while steaming from Newcastle to Launceston with 450 tons of coal the Bulli was forced to shelter from a gale under Erith Island in the Kent Group, Bass Strait. When the weather moderated she proceeded through Arthur’s Pass, then struck a rock about two miles out and commenced to leak badly. She returned to her former anchorage, but when the pumps failed to hold the water, was abandoned. Rockets were fired to summon help from the lighthouse and eventually the crew of 26 were taken on to Melbourne by S.s. Tararua, Pumps and salvage gear were sent to the islands where a close inspection of her lying in ten fathoms showed she had been badly holed so the project was abandoned. In 1881 a company was formed to make a second attempt to salvage her, but this was also unsuccessful. Modern day divers report that the hull of the steamer remains almost intact after more than 100 years on the seabed. The Marine Board of New South Wales decided the master committed two errors of judgment; in going too close to the island, and not beaching his vessel in West Cove when the leak was discovered. He was cautioned. The Bulli was an iron steamer of 524 tons, built at Blackwall, England, in 1872 by Lewis & StockweJl, on dimensions of280.2 x 23.2 x 15.9. She was built for the Bulli Coal Mining Company as a coal carrier with a capacity of 500 tons, and deck saloon accommodation for 24 passengers. The S.S. Bulli was an iron steamer of 4 tons built in London 1873, and owned by the Bulli Coal Mining Company. On 28th June, when bound from Newcastle to Launceston, she met heavy weather and anchored for shelter under Erith Island, Kent Group. When the weather moderated she got her anchor and left but struck a sunken rock and returned to her former anchorage. It was found that the pumps could not cope with the inrush of water so the vessel was abandoned. She sank but the top of her funnel showed even at high water. The crew was taken off the island by the S.S. Tararua. In 1881 a company was formed to refloat the Bulli but it was unsuccessful. Weale. Treatise on the Steam Engine. (This accident took place in 1803 on the east bank of the Peninsula – somewhere on the riverbank near the Pilot Inn). The introduction of -the new high pressure engines was checked, in consqence of a dreadful explosion which took place on the 8th September, 1803 in one of the first of these engines which was used near London. It had been set up in a- temporary manner to drain the foundations for a large building, which was thenerecting for a tide corn-mill on the banks of the river Thames, between Greenwich and Woolwich. The temporary engine was managed by a boy, who is said to have confined the safety-valve, by placing a prop of wood upon it and jambing it under a beam in the roof. He left the engine working in this state, and went away;: another workman afterwards stopped the engine, and the-steam having no escape, burst open the boiler very soon afterwards, with an explosion as violent as the blowing up of a gunpowder mill. The noise was heard at a great distance from the place; three people were killed on the spot, and three others dangerously wounded. The boiler was made of cast iron about four feet diameter, and nearly an inch thick; it was considered to have been capable of sustaining a pressure of 500 pounds per square inch. The safety-valve was of very insufficient dimensions, and was so constructed that it could be easily over loaded by design. This accident excited much apprehension, and showed that the high pressure engines required great precaution in constructing their boilers, to proportion them in the strongest manner, and to prove their strength before using them, as is done with cannon; also to adapt the engines properly to their work, in order that they might be enabled to perform the required task, without forcing the steam to a dangerous elasticity. Mr. Trevithick, after being thus informed of the danger of explosions, took precautions to prevent such accidents in his other engines, by applying two separate safety-valves to each boiler, to give a double security, in case of one valve sticking fast, if ever it should become rusted into its seat, or if it should be overloaded -by ignorance or design; and to prevent any evil consequences from such mismanagement, it was proposed to inclose one of the’ two safety-valves within a box, which might be kept locked, and inaccessible the engine-keeper. The strength of the boiler was proved previously to setting the engine to work for the first time, by forcibly injecting cold water into the boiler, with a small forcing pump, until it escaped through the safety valve, which had a heavy extra load .applied upon it for the time, in order to subject the boiler to a more severe internal pressure than the steam could ever occasion when in use. An ingenious expedient was also devised to avert the danger of the boiler being injured by the fire, in case the engine-man, by neglecting to feed the boiler with water, should allow .the part exposed to the fire to become dry withinside ; a small hole was bored through that part of the metal of the boiler, which would receive the most direct action of the fire, and the hole was filled up by riveting a plug of lead fast into it: this lead would effectually withstand the heat, so long as it continued to be covered with water; but immediately after the water had wasted below the level of the hole,: the lead would melt, and by letting out the steam into the furnace, would avoid danger of explosion, and the negligence of the engineman would be made known. By these precautions Mr. Trevithick regained so much confidence, as to obtain some orders for high pressure engines in London; but not so many as he would have received, if the explosion at Woolwich had not deterred many persons from adopting his engines. The CARADOC WALLSEND Coals are of the best description obtained from the Northern Field . They are large, clean burning, bright and very durable and equally fitted for drawing room and kitchen purposes. The JONASSOHN WALLSEND are an admirable second-class coal fully adapted for all purposes where a first-class coal is not desired. Both kinds are thoroughly screened at the collieries and again before delivery. Orders are to be addressed to the undersigned only at the branch office Greenwich Wharf, East Greenwich or at the office of the collieries 25, Coal Exchange, City of London. Author marymillsPosted on February 4, 2014 February 4, 2014 Categories UncategorizedLeave a comment on Caradoc and Usworth coals. 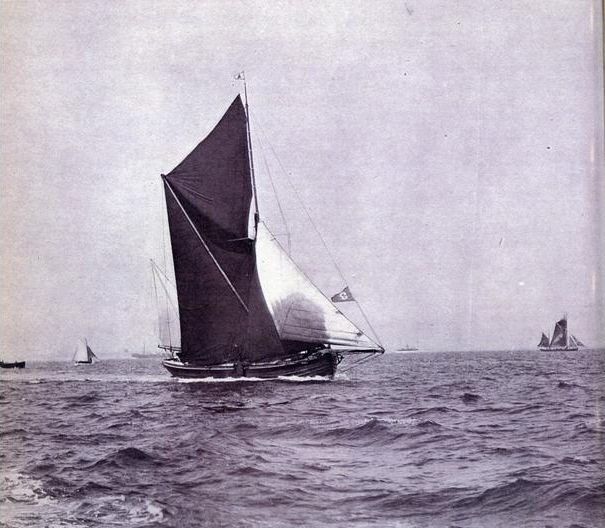 1904 Start II. 15 a.m. Wind light N.E. 1905 Start 12.10 p.m. Wind East.